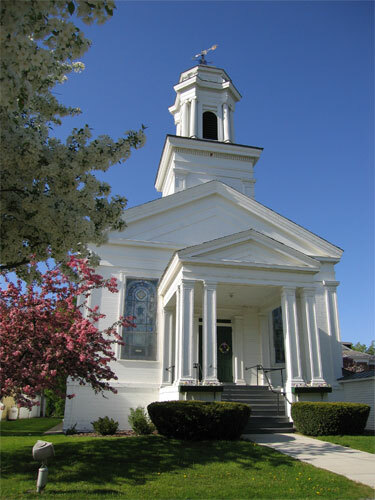 Following some years of union with the Congregational Church of Poultney and the Baptist Church of Middletown, the East Poultney Baptist Church was organized in 1802. The Federal style church, designed and constructed by master builder Elisha Scott, was built in 1805 at a cost of $6,000. An addition costing $2,000 was made in 1839. 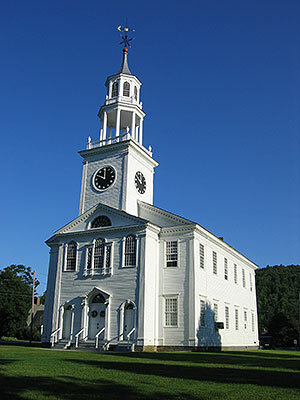 Considered to be one of the outstanding Federal style churches in Vermont, it is located on the green in East Poultney. A second Baptist church was dedicated in Poultney on January 24, 1872 on Bentley Avenue and Maple Street. This imposing building with Eastlake ornamentation is no longer in use and the Baptist congregation is once again united. Methodist representation began in Poultney in 1798, with the Stone Church (Poultney United Methodist Church) on East Main Street being erected in 1822. Its membership consisted largely of Hampton, NY and remotely located Poultney residents. This necessitated fairly short intervals between morning and afternoon services. Troy Conference Academy (today Green Mountain College) students were unable to meet this schedule, so the present Greek Revival-style church on Main Street was erected in 1841. 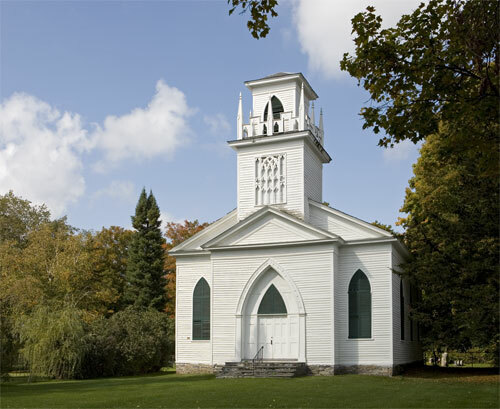 The cornerstone of St. John’s Episcopal Church was laid on May 27, 1831 with completion and first use of this East Poultney structure on May 27, 1832. The Gothic Revival style building is attributed to Elisha Scott, Master builder of the Baptist Church on the East Poultney green. 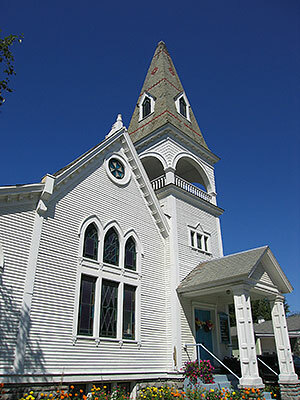 Because of population and business shifts, the Gothic Revival style Trinity Episcopal Church was erected on Church Street in downtown Poultney in 1868. 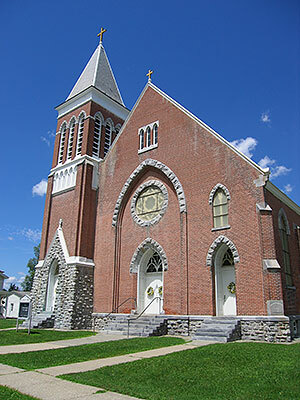 The first Roman Catholic Church was erected in 1864 on a “street leading to Castleton,” now known as Route 30. St. Raphael Church, the present Catholic church, a High Victorian Gothic style building was built in 1902 by Hopkins and Casey on East Main Street. This Queen Anne-style Welsh Presbyterian Church building was erected on Grove Street in 1901 and reflected the more affluent Welsh parishioners of the time. An earlier Church off York Street Extension and close to the Poultney slate quarries was built in 1871 and can still be seen today, as a restoration of this building is ongoing.